As per the Brahmanda Puranam, During Dwaparayuga, After Mahabharatha war, Vyasa Maharshi was disturbed and went on a pilgrimage for peace. On reaching, Kumarachala Hills which lies on the banks of River Godavari, he started meditating. Vyasa Maharshi used to carry a handful of sand from river Godavari on each day and started preparing sand hill at three places. Divine Trinity was impressed with Sage Vyasa penance and self-manifested at Basara in her three forms. The Sand dunes turned into Goddess Saraswathi, Goddess Maha Lakshmi and Goddess Kali. As Vyasa Maharshi installed these deities, this place was called by Vyasa Puram which then turned to Vyasra and now called by the name Basara. From the Puranas, it is known that Lord Siva, Ganapathi, Surya Bhagavan and Indra did penance on these hills. Kumara Swamy Performed penance on this hills, hence the name Kumarachala Hills. 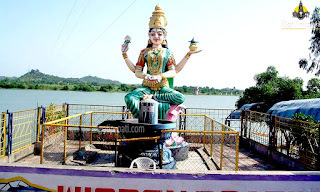 Goddess Saraswati and Maha Lakshmi deities are in the same shrine side by. 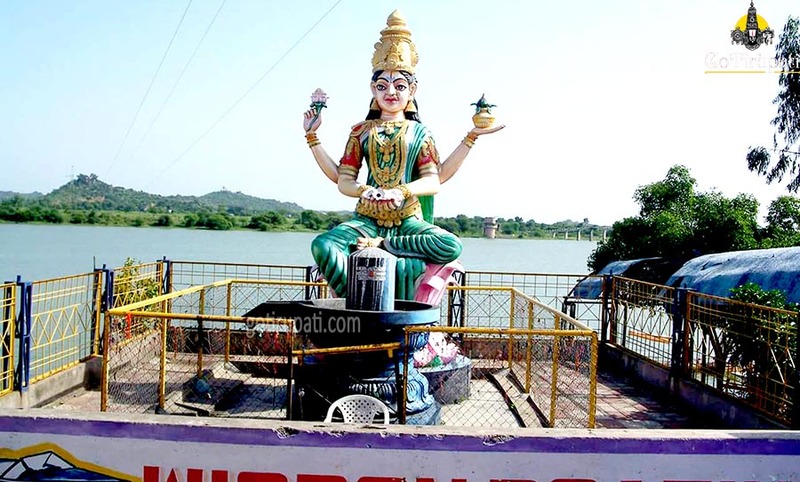 Goddess Kali temple is located close to this temple.